Mother’s Day is just around the corner, so I thought I’d suggest five classic films with mothers as the main characters. Several of the movies listed will be familiar to most, but there may be a few you haven’t seen. These films are hardly an exhaustive list and I know I’ve left out some beloved films, but these are all great movies starring true Hollywood legends. Let me know what you think and feel free to offer up your personal Mother’s Day favorites. 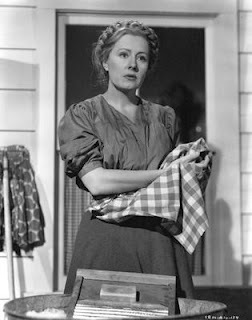 I Remember Mama (1948)—Irene Dunne received her fifth Best Actress Academy Award nomination for her performance in this film. The story is told through the eyes of daughter Katrin (Barbara Bel Geddes). Katrin yearns to be a writer, but can’t seem to write anything worth publishing. That is until she writes about her mother. As Marta Hanson the matriarch of a clan of Norwegian Americans living in San Francisco during the early 1900s, Dunne gives a sensitive and multi-layered characterization. A simple story, simply told, it is both charming and poignant; you’ll find it hard to resist. Dunne was still a beautiful woman when filming began—she was 50, but looked decades younger—so she put on a fat suit, acquired a perfect Norwegian accent, and dressed in simple, worn-looking dresses. The amazing supporting cast includes Ellen Corby, Edgar Bergen, Philip Dorn, Florence Bates, Rudy Vallee, and Oscar Homolka. Directed with a steady hand by George Stevens, I Remember Mama holds up extraordinarily well and is a classic in every sense of the word. Hankie Alert: One, but it will be wringing wet! 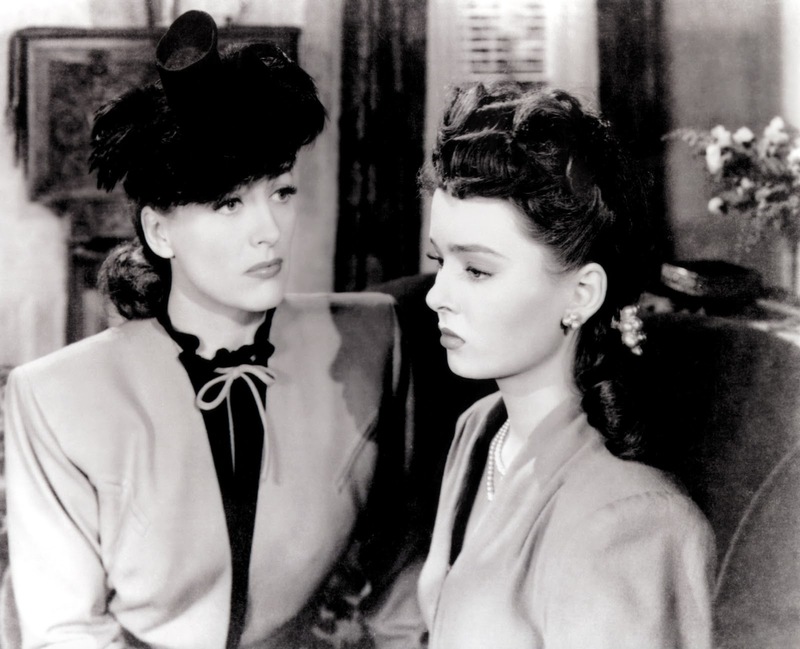 and daughter in Mildred Pierce. Mildred Pierce (1945)—Joan Crawford stars in the title role as a mother determined to be successful in the business world. After divorcing her husband Bert (Bruce Bennett), Mildred works hard to support her children as a waitress. She learns the restaurant business inside and out, eventually saving enough money to open Mildred’s, a restaurant of her own. Soon she has a small chain of restaurants and Mildred is riding high. 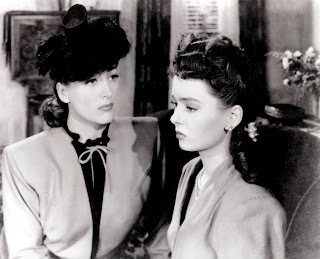 But nothing can satisfy her spoiled eldest daughter Veda (Ann Blyth). Veda is a social-climbing snob who resents her mother’s middle-class roots. No matter what Mildred does for Veda, it just isn’t enough. As the self-sacrificing mother, Crawford won the Academy Award for Best Actress. Based on the novel by James M. Cain, Mildred Pierce is an engrossing film told from the woman’s point of view. Warner Brothers’s top director, Michael Curtiz (Casablanca), ably supported Crawford. A great supporting cast that includes Jack Carson, Zachary Scott, and Eve Arden, all doing great work here, only adds to the fun. Hankie Alert: One. Stella Dallas (1937)—Barbara Stanwyck in the title role, plays the ultimate self-sacrificing mother in this classic directed by King Vidor. As a poor girl who marries up only to find out that life at the top isn’t exactly what she thought it would be, Stanwyck is amazing. In the hands of a less talented actress, this film could have been one big hot, sentimental mess. 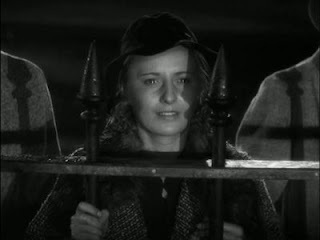 When Stanwyck marries the richest guy in town, she is disillusioned with society life and finds it constraining. After she gives birth to a baby girl, her husband Stephen (John Boles) has society expectations that Stella rebels against. Divorced, Stella raises her daughter Laurel (Anne Shirley) on her own. When Stephen enters a relationship with an upper-class widow, Laurel is introduced to a world of refinement and beauty that are hard to resist. Although she loves her mother, the garish way she dresses and how Stella carries on with old family friend Ed Munn (Alan Hale) embarrass Laurel. Stella sees her daughter slowly drifting away and makes a decision that changes both of their lives forever. Hankie Alert: Three, at least. in The White Cliffs of Dover. The White Cliffs of Dover (1944)—A huge hit when released in 1944, this film isn’t as well remembered today. However, M-G-M thought this film was good enough to be the studio’s 20th Anniversary release. The movie is based on the verse novel The White Cliffs by Alice Duer Miller. 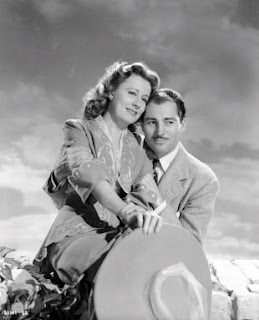 Irene Dunne plays Susan Dunn, a young American woman on vacation in England with her father (Frank Morgan). During her visit, she meets John Asherwood (Alan Marshall), a young British officer and titled gentleman. After a brief courtship, they marry. Shortly thereafter, World War I breaks out and John is off to war. Susan loses John just before the war ends, but gives birth to a son, John Jr. As John grows up and the shadow of another world war blankets Europe, Susan fears she will lose her son too. Susan learns that she cannot hold onto John Jr. just like she couldn’t hold onto his father. The film gives us a glimpse of the tragedy of war from a female perspective that is compelling and heartbreaking. Directed by Clarence Brown (National Velvet), the film features some great British actors in supporting roles, including C. Aubrey Smith, Dame May Whitty, Gladys Cooper, and Roddy McDowell. Van Johnson and an unbilled, and very young, Elizabeth Taylor, round out the cast. Hankie Alert: Two, maybe three. in Cheaper By the Dozen. 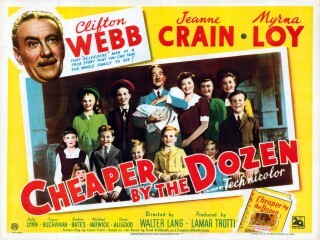 Cheaper By the Dozen (1950) This film is based on the real life story of efficiency expert Frank Bunker Gilbreth (Clifton Webb) and Lillian Moller Gilbreth (Myrna Loy) and their 12 children! Jeanne Crain plays eldest daughter Ann who narrates the film. Directed by Walter Lang and shot in beautiful Technicolor by the award-winning cinematographer, Leon Shamroy, it’s picture postcard perfect. As the mother of the Gilbreth brood, Loy radiates warmth and charm. One of the most popular films of 1950, Cheaper By the Dozen was followed up with Belles on Their Toes in 1952 starring Crain and Loy. Hankie Alert: Maybe half a hankie. You’ll mostly be smiling during this family classic. Thanks for stopping by. You should see the Joan Crawford version; it's different from the HBO version which was faithful to the book.